Suppose you receive an intriguing manuscript that delves into corruption at a major hospital chain, or an edgy novel that transports today’s politicians into a dystopian future of their making. You want to publish the work but wonder if you are diving into legally treacherous waters. Publishing any work involves some legal risk. Often, the more important the work, the higher the risk. Even if your publishing contract contains a standard indemnification clause shifting liability onto the author, an indemnification clause is only as good as the author’s bank account. What follows is a checklist to help you organize your review of a manuscript from a legal perspective. This checklist can’t give you answers to the legal concerns, but it will help you identify when you need more research, support, and one-on-one legal review. Is the author subject to any pre-existing agreements? Prior publishing contracts may contain options, rights of first offer, and non-competition clauses. Employment agreements could make the manuscript a work-for-hire that’s owned by the author’s employer. Confidentiality agreements, particularly if the author is writing about working with a celebrity, often have onerous penalty clauses. Settlement agreements in court cases (including divorces) typically contain non-disclosure and non-disparagement provisions. Co-author agreements, even verbal ones, may lead to unpleasant surprises. If the author is a party to any of these contracts, have the contracts reviewed by legal counsel. Is the work in the public domain? This occurs when the copyright has expired or the work was created by a governmental employee in the line of work. Could the use be considered fair use? See the Fair Use Checklist on page 21. Is the work an orphan work? See Orphan Work Checklist on page 21. If the use is nominal, such as mentioning that the characters were sitting at Starbucks, this is low risk. If the use is disparaging, get legal review. If the use implies any endorsement or affiliation that’s not true, revise the manuscript to eliminate any implied association. Does the work include identifiable people? Are they portrayed in a positive light? If so, there is little legal risk. Are they portrayed in a negative light? If publishing the work may cause reputational harm or extreme embarrassment to a living person, then consider getting legal review. What are the sources of factual and supporting information? Primary materials are best. Second best are news reports, interviews, and memory. Have adequate records been retained? Should a list of resources or footnotes be added to provide support and explanation? Is it necessary to disclose the damaging or embarrassing information? If not, consider revising it. Can people be made unidentifiable without affecting the work? Changing one letter in someone’s name is not enough. The changes should be sufficient that a reasonable person would not recognize the real person. For villainous fictional characters, do an internet search of their names, and avoid using names of real people. Can you get releases from any of the identifiable people? This may not always be possible, but get those that are available. Does the identifiable person have deep pockets? The risk of litigation increases if the target of negative information has the money or a reputation for suing, even if their case is weak. When is a broad release required? When an identifiable person is being used on the cover or in an advertisement or promotion. When the work includes any medical information about an identifiable individual. When an identifiable person is a significant character or actor in the work. This may be considered misappropriation of the right of publicity. If you can’t get a release, consult with an attorney. The line between fair use and infringement is murky. There is no set formula for determining what constitutes fair use. There is no specific number of words that may be used without permission. In the US, courts take four factors into consideration. No one factor controls; they are weighed against one another. 2. The nature of the original work. 3. The amount and substantiality of the portion used in relation to the original work as a whole. Are more than 30 words (or 10 percent of the original) being used? The more you use, the less likely it will be considered fair use, especially if you use the “heart” or “essence” of a work. 4. The effect of the use upon the potential market for, or value of, the original work. For example, using a historical photo as a small part of a larger, expressive work such as a memoir or historical novel is likely to be fair use. In contrast, reproducing and selling the image as a poster and on mugs would not be fair use since the image is central to the product. What efforts have been made to identify and contact the copyright owner? Those should be documented by notes, screen shots, and correspondence. Is the risk high enough to justify hiring a rights researcher or clearance company? Could the writer be considered an heir to the original work? Any heir may use the work, but income from the work must be shared with all other heirs. Can the use be considered fair use? If so, then there may be less need to get permission. The world is a better place because writers and their publishers take risks. But you can learn to be smart about risk, taking those that are important for the work and reducing those that are not. Consider it a form of choosing your battles. Helen Sedwick is an author and attorney who has represented small businesses and entrepreneurs for 30 years. Publisher’s Weekly lists her Self-Publisher’s Legal Handbook as one of the top five resource books for independent authors. 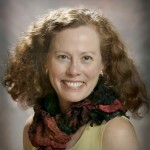 For more information about Helen, check out her website at helensedwick.com.